On the heels of our September tribute to Gianni Versace’s finest fashions, we go inside the Hinsdale home of Chuck and Diana Ivas to see a rare collection of the designer’s furniture and accessories. Our own West Suburban version of Versace’s Lake Como villa awaits. For Chuck and Diana Ivas, Versace isn’t just a luxury Italian designer. His vision, his clothes, his creations, are a way of life. 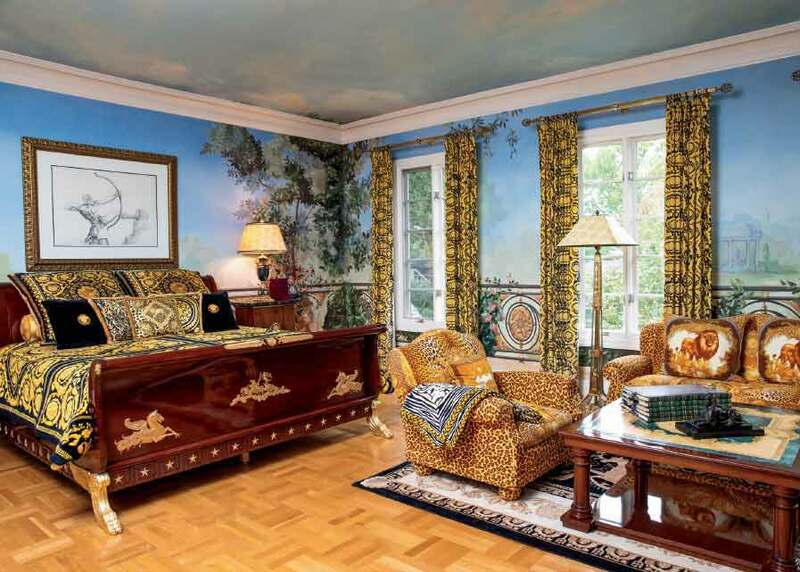 The Hinsdale-based couple have modeled their personal home after the late Gianni Versace’s waterfront villa, Villa Le Fontanelle, in Lake Como, Italy, just north of Milan. Versace purchased Villa Le Fontanelle in 1977 and is said to have personally supervised its restoration and to have individually chosen each item in the interior. 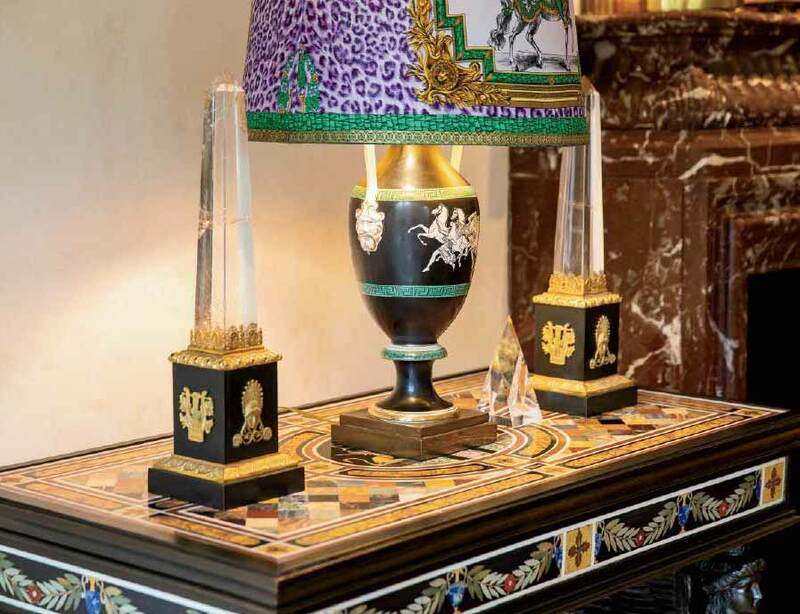 In 2008, the home was resold for $52 million to Russian restaurateur Arkady Nokitov, proving everything Versace touches only gets better with time. The Versace style, as described by Diana, is very flamboyant and incorporates lots of color. The Ivas house follows that same line of thinking but on a smaller scale. 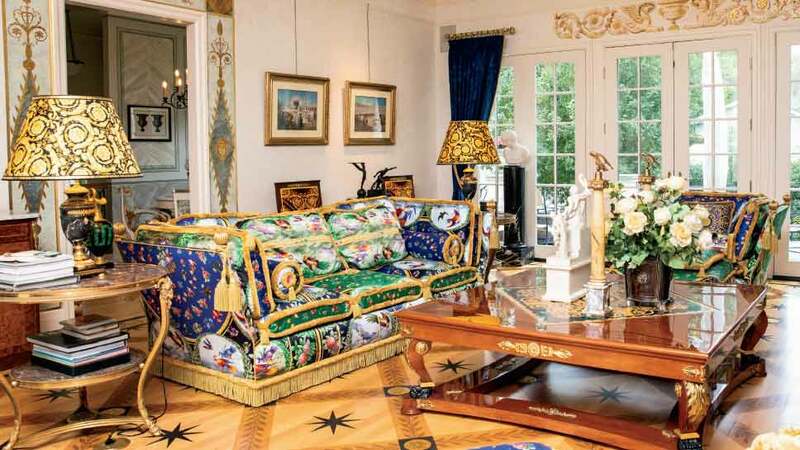 Chuck and Diana have collected more than 50 Versace furniture pieces that were owned by Gianni from his homes in Miami, New York, and Lake Como. Their colorful Salon Suite from the Miami mansion was one of their very first purchases of Gianni’s items at the Sotheby’s auction in New York after his death and is one of their favorites to this day. 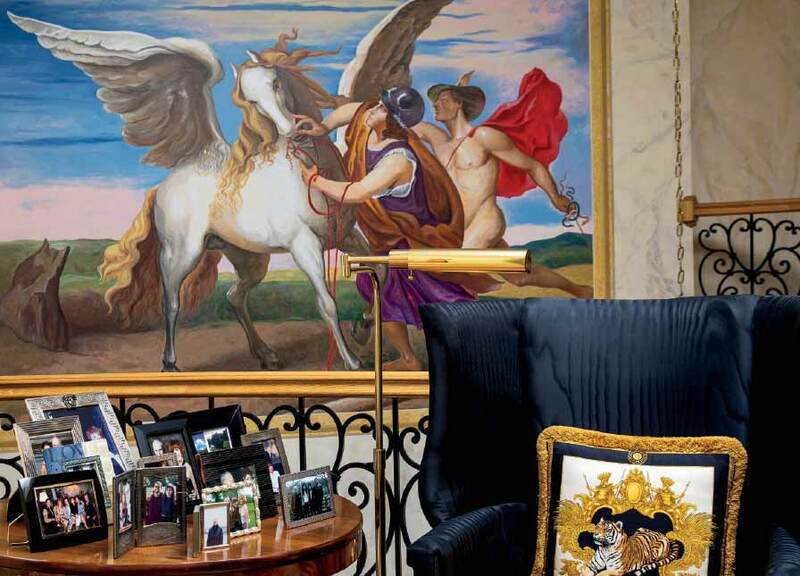 They also have a soft spot for the six paintings from his Lake Como villa that are on their first floor; the leopard sofa and club chairs from the Miami mansion in their master bedroom; and the desk from Versace’s bedroom in his New York townhouse. That particular desk cost the couple $45,000, the most they’ve ever paid for a Versace piece. But, they say they’re sure their collection has increased in value as they compare prices of recent pieces like theirs that have sold at auction. “It’s sort of like doing a comparative market analysis for selling a home,” explains Diana. One of their most important pieces is a chair they purchased at auction from The Delbee Jansen Estate in Paris. The piece was commissioned by Napoleon’s architect, Charles Purcier, who is widely considered to be the inventor of the Empire style. But Diana explains, Chuck surfs the internet constantly for pieces. “Right now, he has his eye on some pieces from the Grand Tour, which are Greek bronze urns,” she says. In a fitting turn of events, it would seem the Ivas couple gives back to Versace just as much as the brand gives to them.